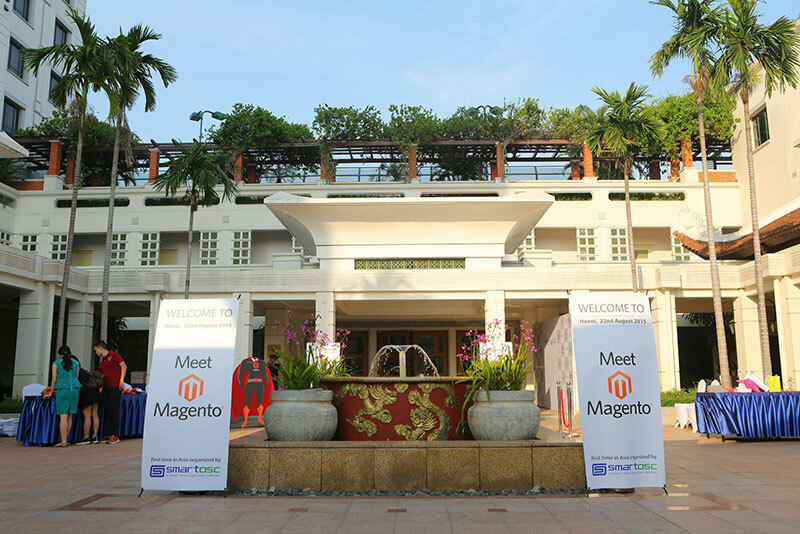 On August 22, 2015, Nexcess participated and sponsored Meet Magento Vietnam in Hanoi. 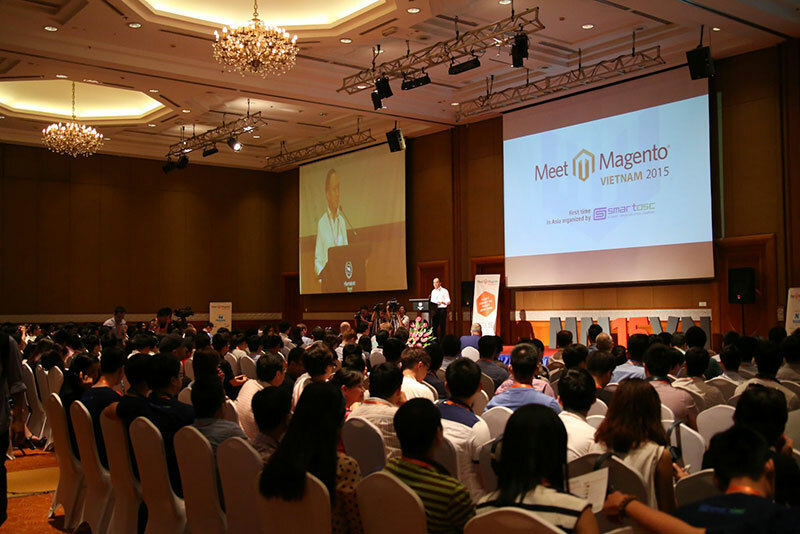 We were honored to participate in Asia’s first-ever Meet Magento event. 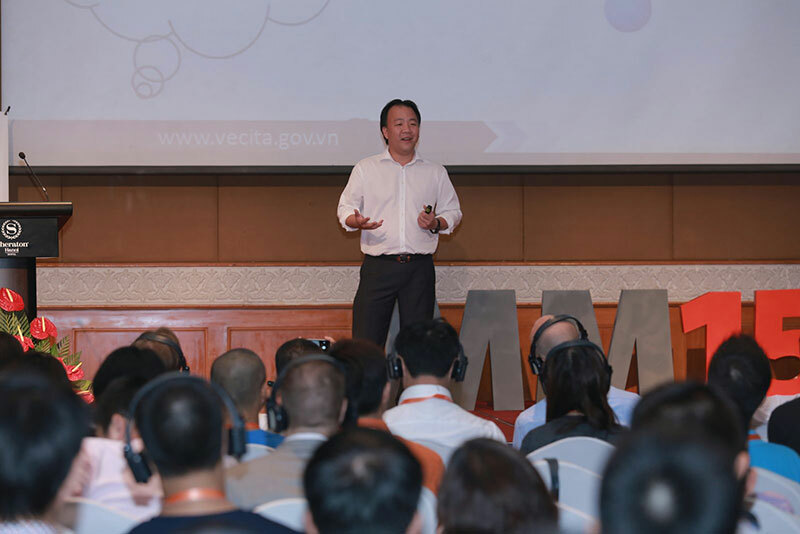 Meet Magento Vietnam (MM15VN) played host to more than 500 community partners, local merchants, and solution partners from across the Asia-Pacific. The day-long conference brought together expert Magento developers and entrepreneurs to discuss hot-button topics like security, community, and the challenges of open source development. This was the first visit to Vietnam for either of us, and we were ecstatic to see the tremendous growth and success enjoyed by Magento merchants and community partners. We also had the opportunity to meet dozens of local developers responsible for numerous contributions to the global Magento community. The crowd gathered quickly, so the conference started early with opening remarks from our host, Mr. Mai-Anh Le, CEO of SmartOSC. Mr. Mai-Anh pinpointed the efforts of local developers, with a special focus on X-POS, a unique tool that converts Magento in a point-of-sale application. Mr. Mai-Anh also explained how SmartOSC used X-POS to reinforce their brick-and-mortar business with their website. 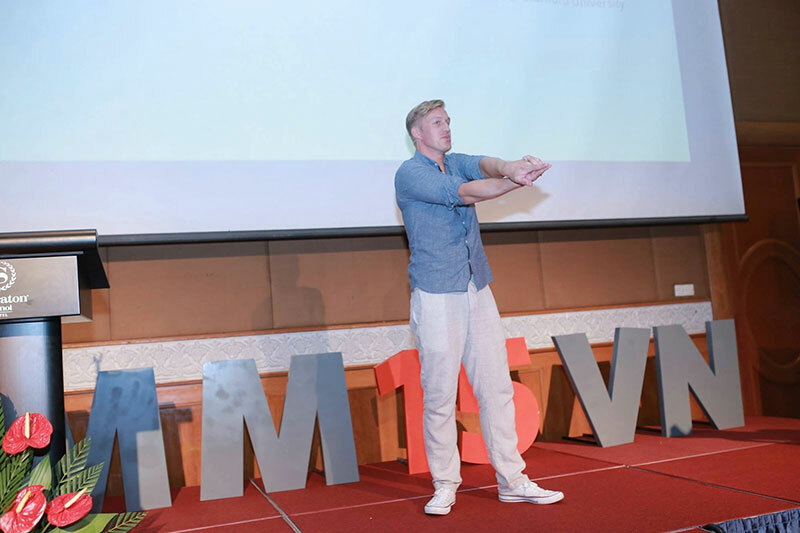 The morning sessions continued with insights from other speakers, such as Mr. Thomas Goletz, who illustrated the expansion of Meet Magento events across five continents. He outlined the goal of Meet Magento, which is to connect people from local communities and companies, not only to each other, but to the global effort to make Magento better for everyone. The other morning speaker, Mr. Huu-Linh Tran, discussed the Vietnamese government’s commitment to developing eCommerce throughout the country. According to Mr. Uu-Linh, nearly 50 percent of the 300,000 registered businesses in Vietnam support their business with websites, and he emphasized his government’s allegiance to small business owners as well as enterprises. Closing the morning speaker sessions was our very own President and CEO, Chris Wells. His presentation, How Not to FAIL at PCI Compliance, offered critical insights into best security practices of Magento and other eCommerce projects. Mr. Wells illuminated the importance of security, presenting both simple steps for maintaining it as well as proactive measures to stay one step ahead of attackers. After lunch, the afternoon was split into more specialized sessions. Some were technical and aimed at developers, while others focused more on the business-side of Magento and eCommerce. 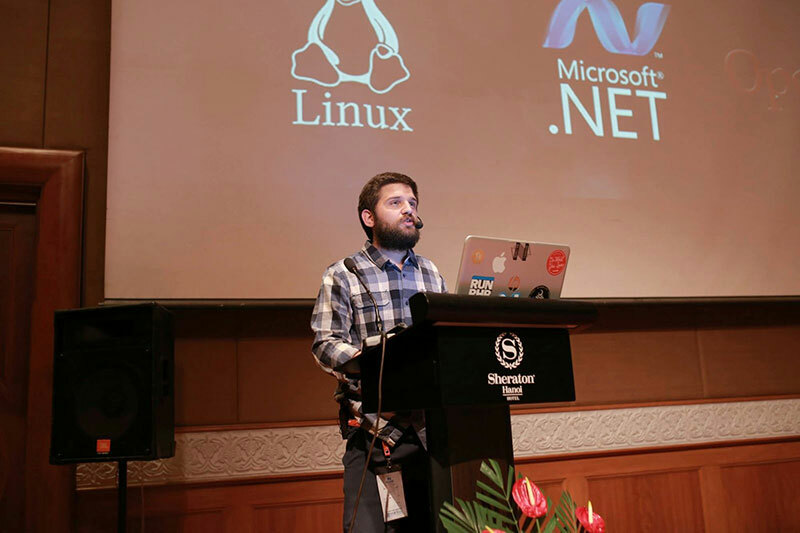 Senior Magento Developer and one of our newest Nexcess team members, Miguel Balparda, had the privilege to present How to maintain an open source module. We were also treated to the latest news about the upcoming Magento 2 by Mr. Ben Marks before Guido Jansen, Tu Hoang, and others rounded out the rest of the afternoon. 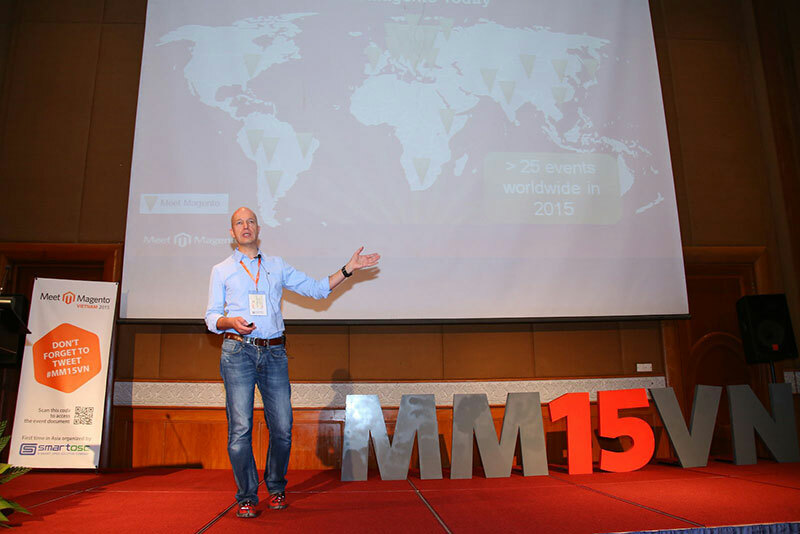 Meet Magento Vietnam 2015 was packed with so much more than we can mention here, but if we only remember two things, it will be the dedication and effort of the community. We feel honored and privileged to be a part of such a special event, and we thank our host, SmartOSC, for organizing the event. We also thank SmartOSC for their hospitality. Before the conference began, SmartOSC invited us and other Nexcess team members to tour their offices located in the center of Hanoi. After the tour, they treated us to an exquisite Vietnamese dinner and went above and beyond to make us comfortable. 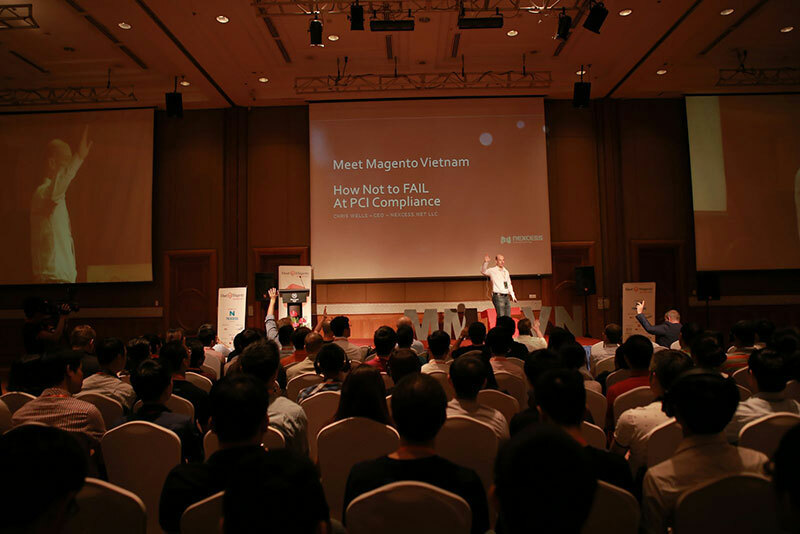 We will post video of the keynote sessions as soon as they become available, and thank you to the entire team of organizers who helped to make the Meet Magento Vietnam 2015 a success.